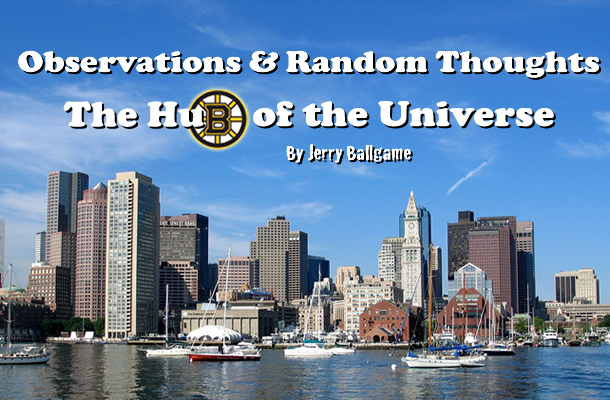 Jerry Ballgame tempts fate by professing his faith in the Red Sox. I believe I’ve made it clear that I’m a strong believer in how important it is to give Karma a proper amount of respect. On several occasions, I have pointed out how, by writing something positive about the Red Sox and/or an individual player, karma has somehow manages to comeback to haunt us… So it is with no small amount of reluctance that I declare; I believe that the Sox are going to make the playoffs! Furthermore, it is becoming obvious that my prediction that they were a third place team was not only wrong, but it is also possible that they may get past the first round! What gave it away, you ask? Well, for me, I knew that 2004 was going to be different when Dave Roberts was correctly called safe as he stole second base in game four of the ALCS. I got that same feeling when Mike Napoli hit a 335 foot, top of the wall, grand slam, thus proving to me that things were “going good.”(As opposed to “breaking bad”….) Pre- 2004, the umpire would have gotten it wrong and called Roberts out, dooming the Sox. In 2011, Napoli’s fly ball to right field is caught by a leaping Ichiro for the third out. Here in 2013, the fact that Yankee Stadium is the only ballpark in the majors where that isn’t an out, only adds to the irony that that hit helped the Sox take three out of the four games. Those of you who read my pre-season preview of the Sox may remember that the scenarios that I felt had to happen if Boston was to finish first, have in fact, come to pass. I said it was necessary for Toronto to find out, as the 2011 Red Sox had, that merely collecting talent does not assure you of actually having a team that can produce. It was necessary for Baltimore to lose the magic that helped them go 29-9 in one run games in 2012. (They have, going 16-25 this year.) Tampa Bay’s offense, I proclaimed, would have to come up short and not match their usually strong starting pitching, and, sure enough, after a strong August, that has come to pass. (Wil Myers is hitting .220 in his last 25 games, with 3 HRs and 12 RBI). Finally, I said it would be necessary for the Yankees to suddenly get old, and that arguably too has come to pass. The 38 year old Hiroki Kuroda is 11-10, the 33 year old C.C. is 13-12 with an ERA of 4.82, and mainstays Derek Jeter (hurt in last season’s playoffs), Mark Teixeira (hurt at the WBC), Curtis Granderson (hurt in Spring Training), and of course A-Rod (you know…), have all lost considerable time because of injury. Now I get that in Granderson’s case, it’s probably more bad luck than age, but it never the less has all come together in a way that has made things difficult on the Yanks, and a bit easier for the Sox. Now, I hope that it does not appear that I’m selling Boston short in all this by implying that their success is just a matter of misfortunate by the rest of the division. 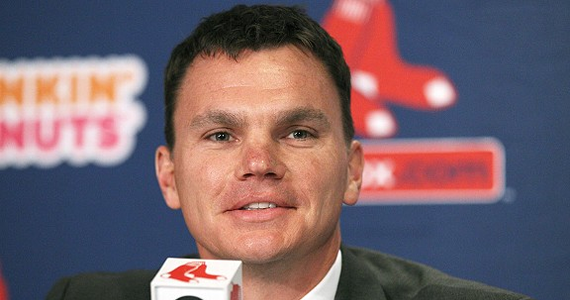 Ben Cherington has put together a well balanced, very likable team that has, from the beginning, played steady ball, with relatively few glitches along the way. 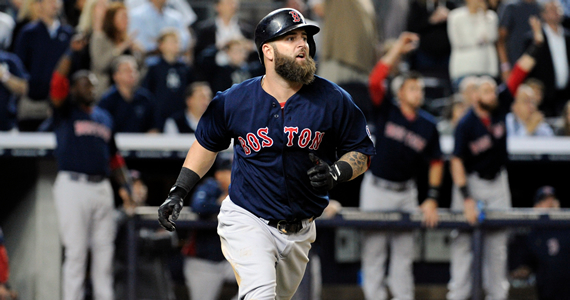 Mike Napoli, a recent co-player of the week, has 21 HRs and 85 RBI. Will Middlebrooks, the other half of that co-player of the week, returned from his exile in Pawtucket to go on a tear and now has 15 HRs and 41 RBI. David Ortiz has been a rather steady force in the middle of the lineup, hitting .312, with 26 HRs and 90 RBIs. Jonny Gomes and Mike Carp have proven to be important role players, along with being valuable pinch hitters. Dustin Pedroia has returned to his “Dirt Dog” roots and Jacoby Ellsbury has had a strong season, hovering round .300,with 52 steals. John Farrell, despite not being able to save Daniel Bard, has provided the team with steady, in-the-moment leadership. The impressive return of Clay Buchholz may mean that the middle of the bullpen can be strengthened by taking either Ryan Dempster or Felix Doubront out of the rotation; a move that should help them as they enter the playoffs. And I have not even mentioned the craziness that is Koji Uehara! I realize that I’m jumping the gun and inviting the wrath of Karma by talking about the playoffs as if it were a sure thing. The Sox are in the midst of a stretch of games with the Rays, Yankees, and O’s that, if it goes badly, could certainly complicate things. But although this edition of the Red Sox may not have the talent of the 2011 team, they certainly seem to have the character and chemistry that the previous team did not possess. They are not just a collection of players, but truly a team. One that I just can’t see letting the opportunity slip away.